Whiskey Sour. Photo by Lognetic | Fotolia. August 25th is National Whiskey Sour Day. We’ll drink to that! 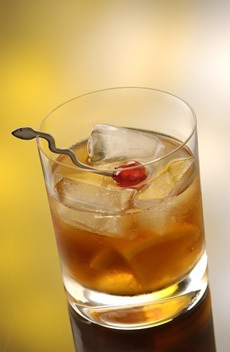 The Whiskey Sour is one of the most famous of the classic cocktails, one that survived Prohibition, which saw the fall into obscurity of many other classics of the time (Satan’s Whiskers, anyone). Those that survived include the Manhattan, Planter’s Punch, Old Fashioned, Sazerac, Tom Collins, etc). The “sour” refers to lemon juice, which is added with sugar to create the drink. Whiskey is a generic term, referring to any spirit, or alcoholic distillate, made from a fermented mash of grain or malt and aged in barrels (the brown color comes from barrel aging). Thus, requesting a “Whiskey Sour” enables the bartender to use any whiskey. If you want something specific, say so: a Bourbon Sour, Scotch Sour, etc. There are numerous types of whiskey—American (Bourbon, corn, Tennessee, rye), Canadian, Irish, Scotch and others. Each is distinguished by the type of grain (barley, corn, rye) used in the fermentation process, as well as the distinct distillation and aging process. Each nation has its own rules and regulations about what constitutes a true whiskey. Regardless of the variety or country of origin, a general rule of thumb is that all straight whiskeys must be aged at least two years in wood, generally oak. The whiskey sour recipe was first published in 1862 in the seminal mixologists’ guide, Jerry Thomas’ How to Mix Drinks (still in print!). However, most cocktail recipes, including the sour, existed long before this time—some dating as far back as the 1700s. 1. COMBINE bourbon, lemon juice and simple syrup in a shaker. Add ice and shake vigorously. 2. STRAIN into an ice-filled rocks glass over a large ice cube. Garnish with a maraschino cherry. As easy as this is, most bartenders use a commercial sour mix, which often means either reconstituted lemon juice. You can taste the difference, and it isn’t good. Since you’re not turning out hundreds of drinks a day, don’t try to save time: Use fresh squeezed lemon juice and simple syrup. Egg white. An egg white gives cocktails a creamier consistency. You can use a whole egg white per drink, or a portion of one. The technique: Shake the cocktail before adding the ice. More sweet. While it isn’t classic, add some of the maraschino cherry juice to the cocktail. Note though, that cheaper maraschino cherries are often sitting in high fructose corn syrup. Use a quality brand like Tillen Farms, in pure sugar syrup. They make great stocking stuffers for your favorite mixologists. 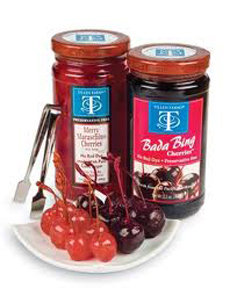 Maraschino and bing cherries are made with pure cane sugar, not high fructose corn syrup. Photo courtesy Tillen Farms. Bitters. While a traditional whiskey sour is made without bitters, an alcoholic preparation flavored with botanical matter for a bitter or bittersweet effect. You can add a dash or two of bitters to add complexity. There are so many types of bitters available these days; the recipe below uses chocolate bitters. Switch the liquor. Consider a Pisco Sour, Sidecar (Cognac and orange liqueur) or Margarita (tequila and orange liqueur), for example. Anything with sugar and lemon or lime juice can be considered a sour. There are simple recipes—whiskey and sour mix—plus complex versions, like the Maple Sour below, created for Basil Hayden’s Bourbon by Jason Stevens, bar manager at Congress Austin. 1. COMBINE all ingredients in a cocktail shaker with ice. Shake for 15 seconds and double strain into a double Old Fashioned glass with ice. 2. GARNISH with a lemon wheel and a maraschino cherry.